The third and final episode of 'Elizabeth I's Secret Agents' is now on BBC iPlayer here. 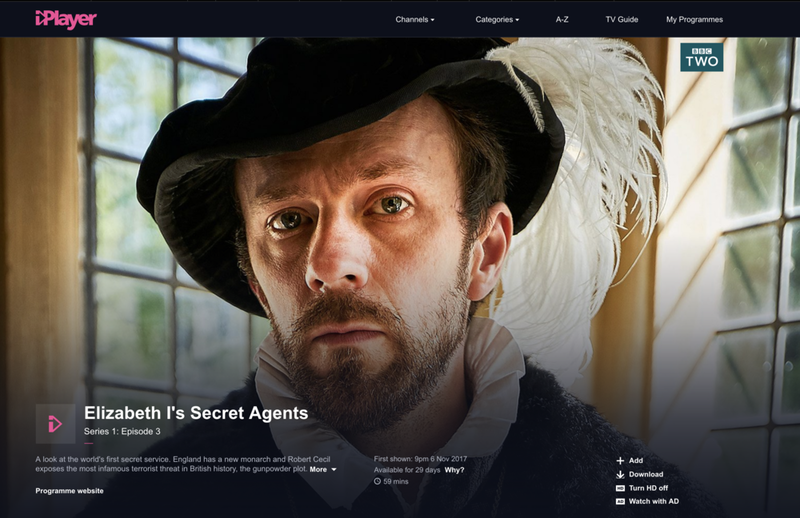 The first episode of 'Elizabeth I's Secret Agents' is now on BBC iPlayer here. The 2nd episode is on BBC2 Monday Oct 30th at 9pm. 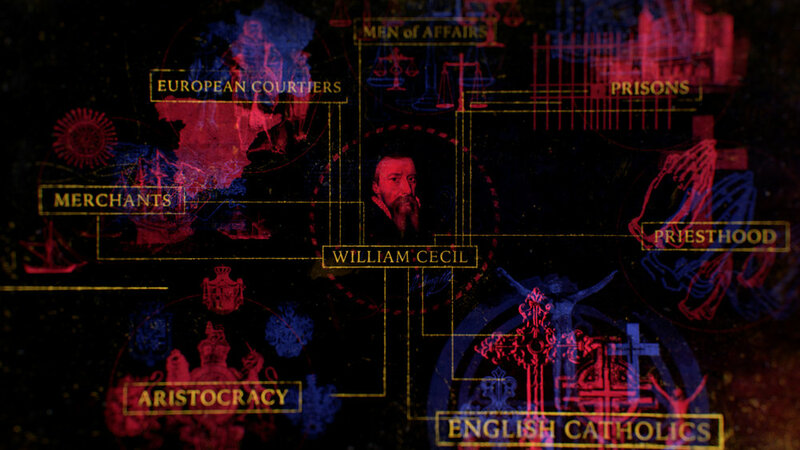 We created over 40 animated graphic sequences for the three-part series that uncovers the network of spymasters and secret agents that helped protect Queen Elizabeth I from assassination, terror and treason for over 40 years. Starts Monday October 23rd at 9pm on BBC2. Just wrapped on another huge motion design project for 72 Films. The 3 part series 'Elizabeth I's Secret Agents' explores the creation of the first secret service and features over 40 animated sequences by us. The first episode airs on BBC2 on Monday October 23rd at 9pm.